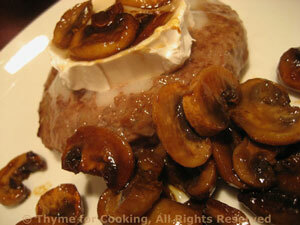 Thyme for Cooking Dinner tonight: Grilled Cheeseburgers with Glazed Mushrooms. What's summer without burgers? More importantly: Cheeseburgers? Try for Cremini mushrooms if you can. I love the combination of lemon and soy sauce, the slightly tart, slightly salty blend enhances the flavors of most foods, particularly vegetables. Top and tail and beans. Cut in 1 1/2inch (4cm) lengths. Put in a small sauce pan with an inch of water. Bring to a boil over medium heat. 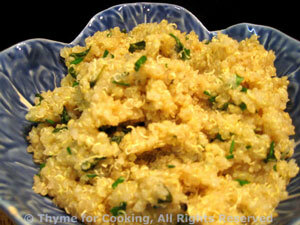 Turn down to low and simmer until done - about 10 minutes. 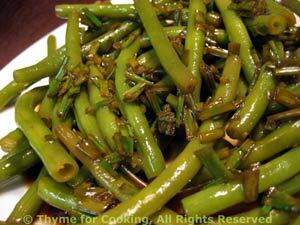 Add soy sauce, chives and lemon and stir to combine. Pour over beans and serve.